I’m always learning something new about Puglia. I’ve learned a lot about the region’s history and culture, beaches, food and wines, art and architecture, and just interesting people and places, particularly as they appeal to travelers. 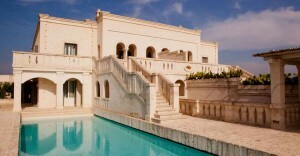 But until today I did not know that Puglia is also gaining a reputation as a high-end tennis destination. The news site Telegraph Travel posted an article about “The Best Tennis Holidays” that begins, “Inspired by Wimbledon? Here are ten of the best tennis holidays, in Britain, Europe and the Caribbean.” One of the featured destinations is the Borgo Egnazia resort in Fasano, a member of Leading Hotels of the World. The Borgo Egnazia website states: “Playing tennis outdoors is even more fun when you’re surrounded by the ancient olive trees and can feel the sea breeze and warm Apulian sun on your face.” I can vouch for the attractiveness of this resort, as we visited it a few years ago. The resort features four tennis courts (two synthetic grass courts and two professional hardcourts made of acrylic resin) and an on-site team of professional instructors. It also organizes clinics led by international tennis champions. And take a look at this page to see how much publicity Puglia and Borgo Egnazia in particular have been getting in the media worldwide. For even more details, just search “Walking on Sunshine Puglia” and you’ll find plenty of articles, YouTube videos, reviews and other links to the movie and region. UNESCO and cruise operator Seabourn have announced a six-year, $1 million partnership agreement aimed at reinforcing protection for UNESCO World Heritage Sites and promoting sustainable tourism, it was reported in a press release issued by UNESCO. Seabourn currently includes over 150 UNESCO World Heritage sites in its itineraries. The partnership will work to foster wider support and understanding in the travel industry and among travelers, for UNESCO’s mission of identifying, safeguarding and promoting World Heritage sites. Seabourn has committed to providing $1 million for UNESCO as part of this agreement, in support of the UNESCO World Heritage and Sustainable Tourism Program. Under the new alliance, Seabourn will offer passengers visiting UNESCO World Heritage sites deeper insight and behind-the-scenes information about these properties, and exclusive enhanced content on World Heritage. In addition, fares for Seabourn excursions that include World Heritage sites will include a donation to UNESCO’s World Heritage Fund. A recent study of Italy’s tourism industry by the Italian retailers association Confcommercio finds that only 13% of foreign tourists opt for southern Italy, including Puglia, while fully 44.3% prefer the country’s northeastern area around Venice. In a nutshell, the latter comments reflect one of the key issues facing Puglia tourism planners. 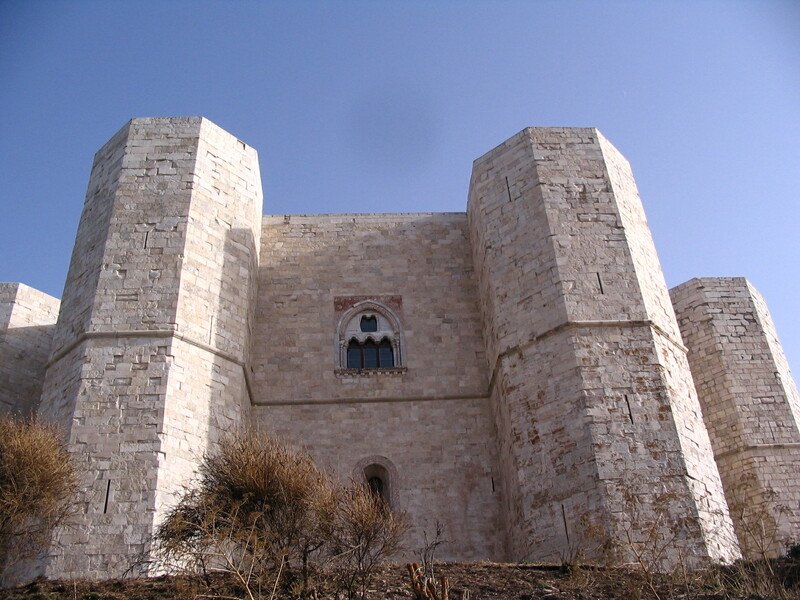 The over-industrialization of parts of the region (consider the massive steelworks in Taranto, for example) remains a hindrance to promoting Puglia as a first-class international tourism destination. It’s important to pay attention to the research conducted by Confcommercio (its full name is the Italian General Confederation of Enterprises, Professions and Self-Employment). The organization represents more than 700,000 businesses with nearly 2.7 million employees, making it the largest business association in Italy. Its tourism arm, Confturismo, represents hotels, public establishments, travel agencies, tour operators, incentive services, camp sites, tourist villages, tourism-hotel residences, time-shares, bed and breakfasts, youth hostels, beach resorts, night clubs, marinas and boat hire enterprises and meeting planners. All of these entities are dependent on Puglia reaching its potential as an important player in the international tourism industry. Finding that only 13% of Italy’s foreign visitors venture south gives Puglia’s tourism industry an incentive to work together to broaden the region’s appeal. Of course, most foreign visitors, especially first-timers to Italy, will always head for Rome, Florence and Venice; that’s not going to change. 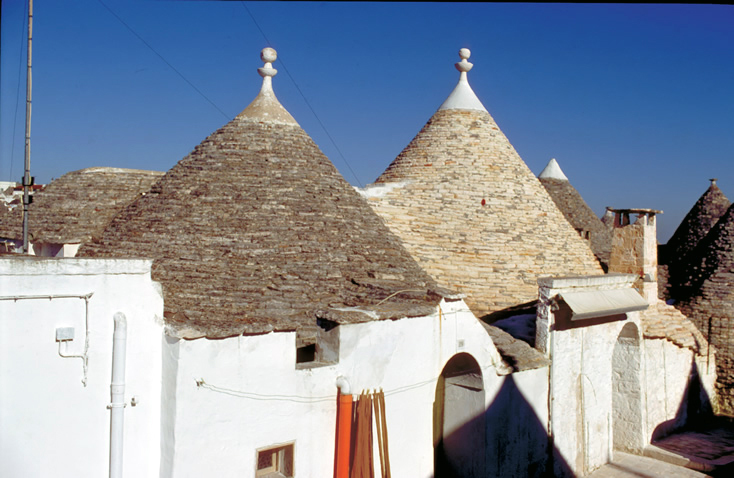 But Puglia has an opportunity to determine exactly what it had that travelers want to see and experience and work in unison to preserve and promote its cultural treasures. Just as Puglia’s peak summer tourism season is about to get underway, severe storms have struck the region, causing severe flooding and even threatening its summer fruit harvest. 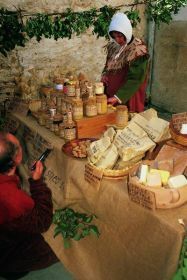 It’s particularly ironic, given that the region recently posted significant gains in tourist arrivals and Puglia’s tourism industry was poised for a successful start to the season. Police and firefighters in the Bari area responded to 40 rescue calls Sunday and Monday, including a request to help a disabled person trapped in a vehicle and another to help a family caught in an underpass when the road became so flooded that their car could not get through. More heavy rain was expected later Monday, with showers forecast through Thursday. Regions in south-central Italy were on storm alert for the rest of the week. Italy’s bad weather has cost farmers millions of euros in damages, a professional farmers’ organization said Monday. Torrential rain and hail storms have caused crop and structural damage, including field flooding, mud buildup and salt erosion on Italy’s farmland from Tuscany to Lazio and Puglia. Summer fruit and vegetable farmers, as well as wheat farmers in these regions, and particularly in the South, are concerned that the inclement whether will affect crop quality as well as jeopardize transport and distribution of products. 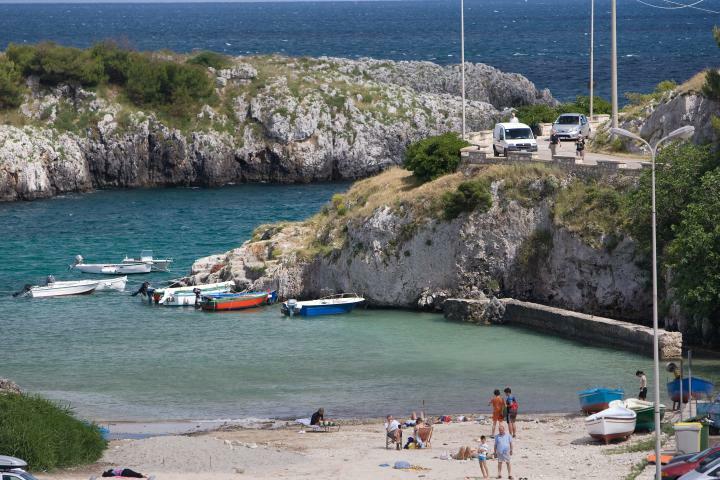 A total of 28 beaches in Puglia have been awarded the Blue Flag for 2014, in recognition of their strict adherence to international standards for water quality, cleanliness, management and safety. According to the Blue Flag Program website, Blue Flag is a voluntary eco-label awarded to 3,850 beaches and marinas in 46 countries across Europe, South Africa, Morocco, Tunisia, New Zealand, Brazil, Canada and the Caribbean. The Blue Flag works toward sustainable development of beaches and marinas through strict criteria. The Blue Flag Program is owned and run by the non-government, non-profit organization Foundation for Environmental Education. Blue Flag says beaches are awarded the Blue Flag based on compliance with 32 criteria covering environmental education and information; water quality; environmental management; and safety and services. All Blue Flags are awarded for one season at a time. If the criteria are not fulfilled during the season or the conditions change, the Blue Flag may be withdrawn. 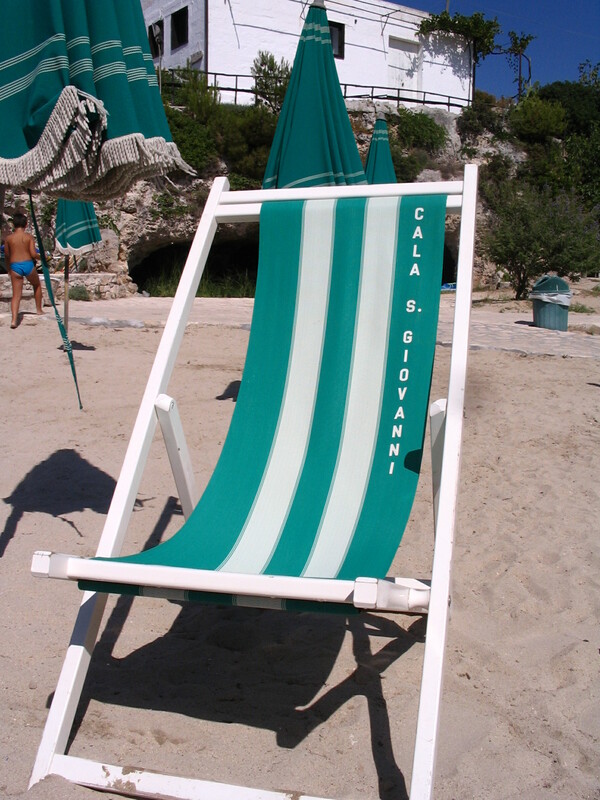 Click here for a complete list of Puglia’s 2014 Blue Flag beaches. Puglia has been making headlines recently all over the world, as more and more people discover its rich culture, history, heritage and its food and wine. Here are links to a few articles you may enjoy. If you’ve visited Puglia, you can reminisce and plan your next trip. And if you haven’t been to Puglia yet, what are you waiting for? Puglia has landed in London! 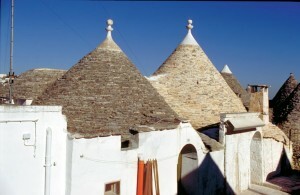 After the great success in Vienna, Berlin and Munich, the Puglia Village now moves to London. We are bringing the flavors, tastes and sounds of our land to the banks of the Thames, in South Bank. Every day from 11 A.M. to 9 P.M. until June 15, we’ll be welcoming you with giveaways, information material, but most of all, with a rich schedule of activities including tasting of traditional Pugliese food, olive oil and exceptional wines. Get ready to get your hands dirty with our cooking workshops: you’ll learn how to prepare the famous hand-made Italian “orecchiette,” just like our grannies do, or dabble in the traditional pizzica or tarantella dancing to the frenzied rhythms of our folk music. And on June 11, let’s hit the movies together! 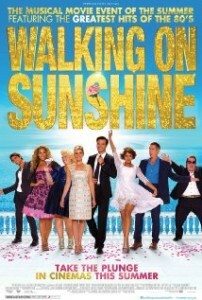 The premiere of the exciting musical movie “Walking on Sunshine,” starring Leona Lewis and entirely filmed in Puglia, will take us on the sunny beaches and quaint alleys of Puglia, to the sounds of the greatest hits of the 1980s. After leaving London, the road show moves to Paris and Dublin. 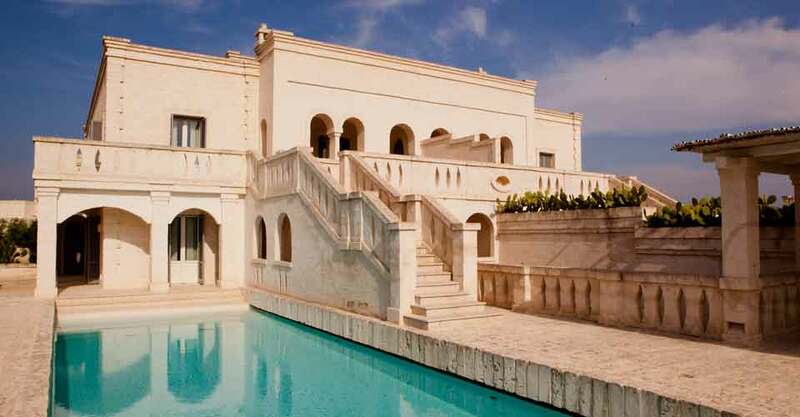 Click here to see the entire “We Are in Puglia” 2014 road show program. The first four months of the year recorded an increase of about 3% in arrivals, according to what reported by the Regional Observatory on Tourism. Excellent performance of foreigners with an increase of 10% in arrivals compared to the same period last year. The SPOT system has replaced the previous paper-based procedure of sending data in real time, allowing you to measure the competitiveness of the destination of Puglia and monitor changes/quantitative tourist flows required to process and trigger effective marketing strategies and sales offer regional tourism to meet changes in demand. In detail, well in January when, after two years of decline, the incoming returns to grow at a rate of 7%, thanks to the slow recovery of the domestic market of the product and the business, and April, which this year included Easter, and which is at 12% of the total arrivals and 31% of incoming foreigners. The holidays have boosted tourism in cities of art ‒ even children and especially among the tourists repeaters (loyal customers), hikers and newcomers ‒ the open-air tourism , the rites of Holy Week and the beach, despite the need to save among Italian confirms the tendency to choose short-haul destinations, for short periods, featuring all-inclusive and low-cost programs. Also, there has been a rapid recovery of the hotel sector: There are positive signs (above the regional average of 3% variation) for the hotels and tourist residences. As for the incoming international visitors, figures for the first four months of 2014 show increases of between 5% and 10% of the arrivals for French, Belgian and American travelers. Strong growth in excess of 10% was recorded for visitors from Russia and Spain. In addition, according to the monitoring of the National Agency of Tourism ENIT network of major international tour operators in Europe and beyond, Puglia is one of the favorite Italian destinations for next summer with some tour operators seeing increases in bookings up to 20% compared to the previous year. Art, culture, food and wine, and nature continue to be the most appreciated by foreign visitors and always present in the deals of tour operators. You are currently browsing the Puglia Connection Blog blog archives for June, 2014.